One of the most important skills to learn is gardening. The ability to grow your own food and maintain your own sustainability is a key point in homesteading and prepping. While you may not be able to produce all your own food, you have the capability to produce a lot of it. You can also garden just for pleasure. You can also garden for your long term food storage needs by canning, freezing, and drying your produce. There are many ways to garden. No matter what method of gardening you choose, the results are the same. With a little hard work, weed control, and commitment, you will have produced your own food and gained a skill that, sadly, most people do not have. 1. You produce your own food! This is the best thing about gardening. You can walk out to your garden and pick what you want to eat with your supper or as your supper. Eating what you produce is a great feeling. Your hard work produced food to provide for you, your family, and possibly neighbors and friends! 2. Gardening can be therapeutic. When you are feeling a little down, tending to the plants and watching things grow can lift your spirits. When you are feeling a bit frustrated or angry, pulling weeds can be a great outlet. If you are feeling pretty happy, the garden can keep lifting your spirits. 3. Gardening can decrease stress levels. See number #2. However, pulling weeds can be the best therapy and keep you from possibly hurting someone other than the weeds. And trust me, the weeds can handle it! 4. It's a skill that needs to be learned and passed on. 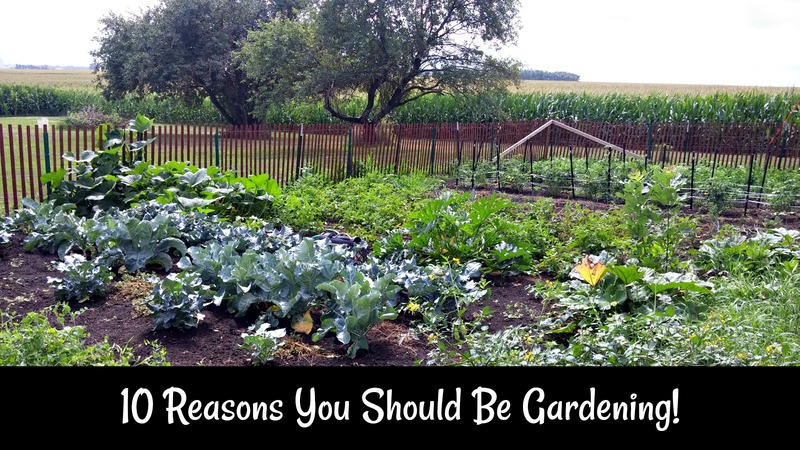 Many people do not know how to garden. They will remember that their parents or grandparents gardened, but they had no interest themselves in learning. We need to be teaching and encouraging the next generation to be growing their own in some way or form. Whether it is growing food in containers on an apartment balcony, a community lot, raised beds, or in the ground, gardening skills need to be taught and passed on. 5. You eat healthier. There isn't many doctors, nutritionists, or diet gurus who will tell you not to eat your vegetables and fruits. Adding vegetables and fruits that are homegrown to your meals will help you be healthier and feel better too. 6. You will lose weight and burn calories pulling weeds and tending plants. Gardening has been proven to burn calories and even help lose weight with the exercise you get tending the garden. 8. You can have a chemical free, organic garden. We try very hard to not have chemicals in the garden. 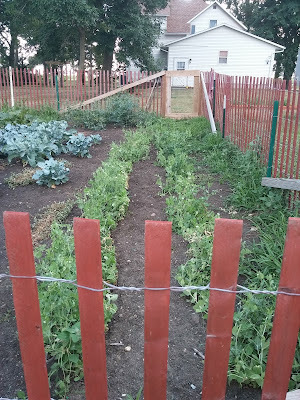 If you want a chemical free, organic, non-GMO garden, you can have that. You get to control what is planted, what is sprayed, how to control the pests, and other inputs. Basically, it is yours to do with how you want! 9. You can save money at the grocery store. Vegetables and fruits rarely taste or look as good as the ones I grow. Nothing beats a homegrown tomato! Eating fresh vegetables from the garden and preserving the extra bounty will save you a fair amount of money on your grocery bill in the summer and the winter. 10. You can experiment and learn new things while gardening. You will learn when you planted way too much zucchini and even your neighbors hide from you to avoid getting one! You will learn that you should only plant vegetables your family will eat and you will freeze/can. You will learn to try something new every year and see how it does. You can experiment with different types of tomatoes, peppers, and squashes. 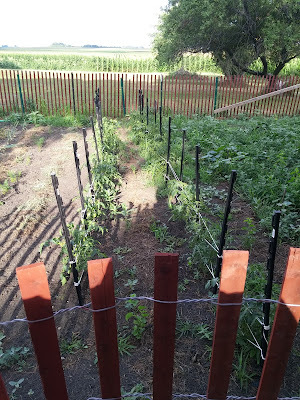 The garden is one big science experiment sometimes and, even though you might depend on what you produce, you can always try new things and change what you want to do. Gardening is a skill you should be learning. It has many benefits and perks as you can read. I would encourage everyone to do it!